What about that pink! Create a gift for someone special or bring her along to enjoy fun together. All are welcome in our introductory level glass jewelry class. You will learn about glass and receive instruction on how to work with glass and basic hand tools. 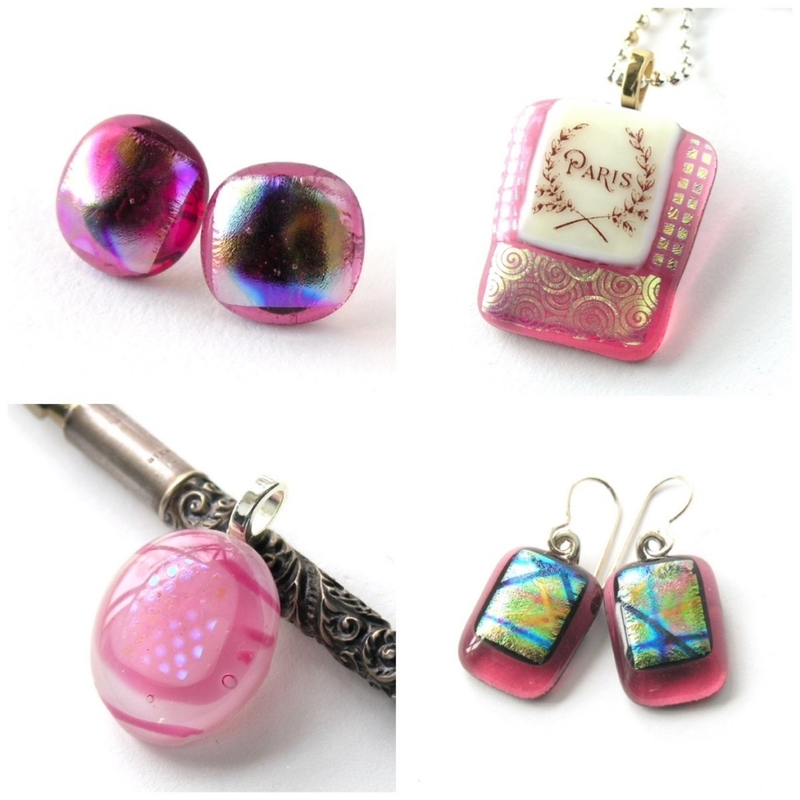 Choosing from an enticing array of fused glass pieces and dichroic glass elements, you design and assemble 4 items: drop earrings, post earrings or pendants. VisArts will fire the art glass in our kilns and add the pendant bails or earring backs. – so you can enjoy your wearable art when you pick it up 1 week later. Just in time for Mother’s Day!